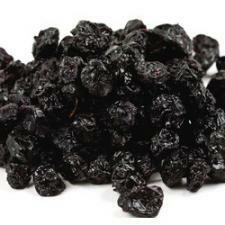 Dried Sweetened Blueberries can be a year round berry treat! Try these luscious bite size blueberries for snacking, or for adding an extra dose of healthy antioxidants to your favorite snack mix, baked goods and cereals. Ing: Blueberries, Sugar, Sunflower Oil.